Earlier this year, television critic Todd VanDerWerff wrote an opinion piece for Grantland about Orphan Black. His piece contextualizes the show, a BBC America sci-fi series nudged between Doctor Who and The Nerdist on the network’s coveted Supernatural Saturdays block, as a throwback to the “pre-recap era,” a time when “most weekly TV reviews were being carried out by fans.” Temporally, Todd is talking about the 1990s, which makes sense firstly because this was when the World Wide Web finally standardized internet usage so that anyone could use it, and secondly because the decade was an era of technological upheaval. It was the time before broadband was widely available, before Wi-Fi, and of course before the dot-com bubble burst, but it was also the time when home computers—greatly aided by the rapidly developing capabilities of the microprocessor—were becoming the norm, not the exception. In Todd’s words, people were “realizing their weird pop culture affections need no longer be private,” coinciding with a decade in which a lot of great science-fiction television was airing on American and Canadian television. Naturally, some of the more ambitious writers of the time (Chris Carter of The X-Files and J. Michael Straczynski of Babylon 5, to name a couple) took to this new technology as well, leading to the first collisions of the people that make television and the people who love watching television—in other words, the fans. So Weird eagerly fits this trend, given its time of airing (January 1999 to September 2001), and it also had its own version of Carter and Straczynski in executive producers and showrunners Jon Cooksey and Ali Marie Matheson. Jon and Ali have been emailed about So Weird both during and after the show’s run, and it is through these fan interactions that much of the behind-the-scenes knowledge of the show became known. The largest wealth of knowledge about So Weird lives on in the Jon Cooksey tag of the FuckYeahSoWeird Tumblr; the owner of the blog had the opportunity to email with Cooksey and discuss the various plot threads and story ideas that ultimately never came to pass partly because Cooksey/Matheson left with Fi after “Lightning Rod” and partly due to the network’s insistence on changing the tonal direction of So Weird. It isn’t clear exactly when the rejected season two episode “Chrysalis” first became known amongst So Weird fanatics, but in the years since the show’s ending, discussion of that episode has remained a popular topic of conversation. The episode had three primary goals Cooksey/Matheson hoped to achieve. First, it was built to play with Fi in absentia in order to give Cara DeLizia a week off from filming. (When the episode was ultimately rejected, the similarly Fi-absent “Avatar” was conceived in its place.) Second, it was conceived with two plots dealing with alcoholism, which would allow for character development and contribute to the dark tone of the show by committing to showing the characters as flawed individuals in vulnerable states. Third, it was designed to bring Rebecca back into the show via Molly’s plot in order to continue foreshadowing an abandoned myth-arc involving Jack’s past life as an Arthurian knight. That last part is particularly noteworthy. Season two of So Weird feels busy enough with Fi’s myth-arc as she journeys to find out what happened to her father, and while it’s true that both Molly’s dark past and Jack’s past life as a knight are hinted at throughout the first two seasons (there’s a particularly cognizant cut done by the editor in “Banshee”: as the camera passes over Jack in the forest looking for Fi, it fades into a suit of armor in the castle corridor where Fi is; the show has also never been shy about Molly’s past, playing to Mackenzie Phillips’s strengths as an actress), “Chrysalis” undoubtetly would have given those plots a center stage for the audience, acting as a nexus point for the characters’ myth-arcs, and would also have firmly built upon So Weird‘s thematic interests with regards to the existential journey through life, anchored by Fi’s search for her dad, Jack’s search for his past life (his third season arc would have involved seeing flashes of the castle Fi wanders through in “Banshee” and would lead him and Fi to start searching for that castle in order to get some answers), and Molly’s search for meaning after a storied life and a succession of various lifestyles. “Chrysalis” was pitched to Disney Channel twice. The first time, the main plot centered around Carey imbibing a weird alien pupa that begins cocooning itself inside of him. The end result of expelling said pupa would have left Carey blacked out, leading him to conclude that he had a drinking problem. The network rejected this, so the second pitch shifted the drinking story to one of Carey’s college friends (which would leave Jack and Carey to figure out what’s wrong with him). This time, Disney Channel rejected on the basis that they didn’t want to do an “issues” show, a reason that seems soundly hypocritcial given that both The Famous Jett Jackson and In A Heartbeat were shows built around doing “issues” shows, with the former in particular built around the intersectional issues of race, class, and (to a certain extent) gender. That’s not even bringing up Disney Channel’s golden poster child Lizzie McGuire, which famously had an episode based around Miranda developing an eating disorder. It’s not that alcoholism is more important than these issues, but the unjust notion that the channel didn’t want So Weird to do an episode about an “issue” when it was so freely encouraged elsewhere. The reason for bringing up “Chrysalis” now is that the behind-the-scenes story of its conception, purpose, and ultimate rejection represents, in the strongest and most visceral way, the divide between So Weird‘s first two seasons and its oddball cousin of a third season. With the departures of Cooksey/Matheson and Cara DeLizia, the third season floundered in its first half as the show tries to regain its footing following what was essentially an uprooting of everything the creative team had been plotting up to that time, in addition to the network’s increasingly opaque executive hands in the creation of the show. While Annie does have a myth-arc of her own surrounding the mysterious panther that protects her, the rest of the characters are forced to leave their story arcs abandoned and unfinished; since they were arcs tied to Fi’s myth-arc, they would not have fit with the new girl, no matter who she ended up being or becoming in the long run. 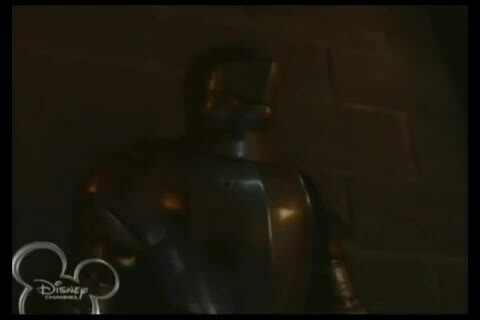 This means, naturally enough, that Rebecca and the storyline revolving around Jack’s destiny as a knight was abandoned, leaving both Jack and Molly (who, after all, is the anchor of “Rebecca,” one of So Weird‘s finest hours) temporarily in the lurch. Weirdly, the most striking thing about Todd’s article is the title. 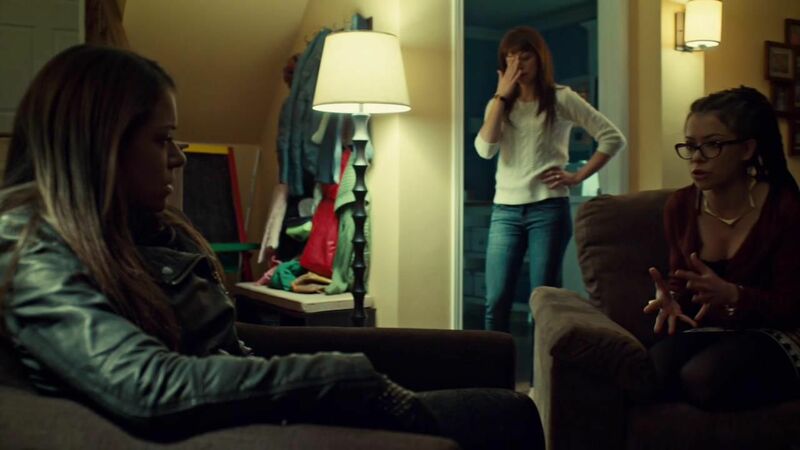 He refers to Orphan Black as a “throwback,” meaning that it serves as a nod simultaneously to the kinds of offbeat sci-fi shows that were the purview of Internet users in the 1990s as well as to the growing ubiquity of technology bringing more and more people together to talk about the things they love, particularly television. Fi Phillips was a character designed specifically as a child of that generation of television: She had her own website dedicated to something truly and distinctively “alternative” which drew people with similar interests to her so that they could chat. 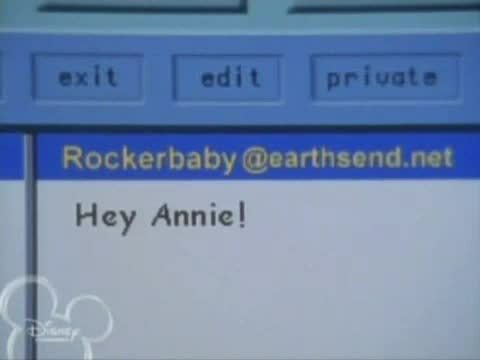 To So Weird‘s credit, Fi’s ongoing presence as a chat user on Annie’s computer means the show never really stopped believing in the growing importance of technology in the everyday American’s life. But as more and more people came to the conversation, the conversation itself evolved. It did not take long before fans were trading rumors and theories about behind-the-scenes action that contributed to the making of the shows they loved. Often, these lead to great stories being told, like the famous conversation Nichelle Nichols had with Martin Luther King, Jr., that convinced her to stay on Star Trek. But this transparency is a double-edged sword, as sometimes, the less-thrilling stories of disruption and chaos emerge, showing the threads ripping at the seams. So Weird was not the only Disney Channel show that was fraught with complications. 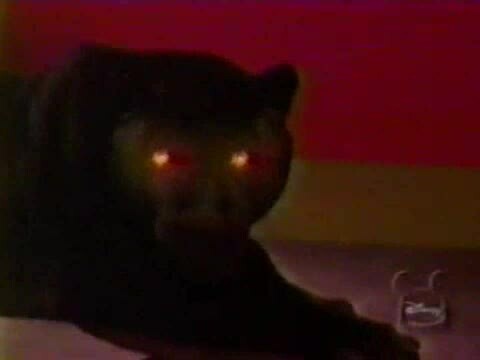 But it is the one viewers of that time know the most about, because the viewers of this show were on the Internet, chatting the nights away about it, because it was much weirder and, to many, far more delightful than anything else Disney Channel ever aired. Orphan Black screen capture courtesy of Sandra at Screencapped.net. Cameron White is a freelance writer currently residing in Arkansas. He writes about television over on his blog, Wayward Television, and tweets about the motion of the ocean. His obsession with television was founded in 1996 by The Disney Channel and fostered by his discovery of Firefly in the summer of 2007. He takes the Internet way too seriously.